GreyPower members in Napier hope to round off the year today by donating much-needed food and clothing to Romanian orphans. 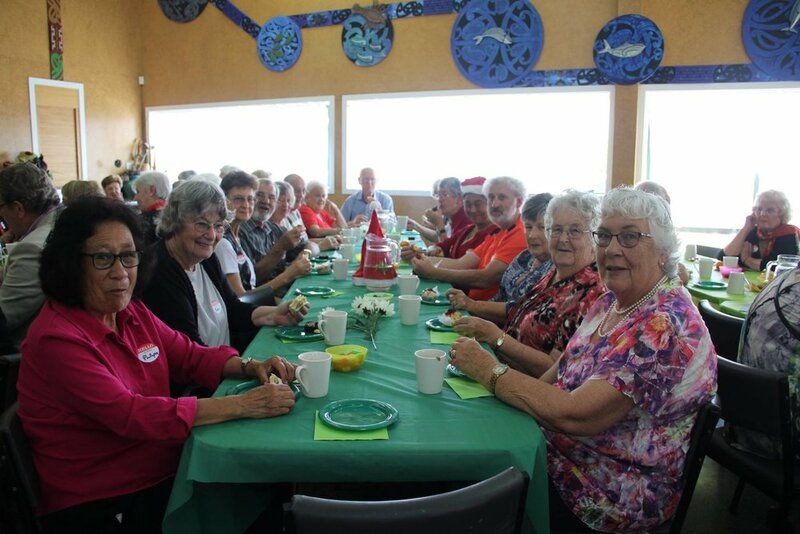 The Napier and Districts branch will hold their annual Christmas luncheon at 11.30am today at the Pukemokimoki marae and GreyPower Napier spokeswoman Maxine Boag said there were places for 200 people.
" These are already taken, and as of today we have a waiting list of 10. We have invited members and friends, and are charging only $5 per head, so even though it is finger food (savouries and sandwiches and slices) we are subsidising the luncheon as a way of giving back to our 1200 members. "We ask people to bring something for the Food Bank and for an Op Shop in Hastings which raises money for Romanian Orphans. "This is our last "meeting" for the year, and the third time we have held it at Pukemokimoki because they have room for such a large number and because we are always made to feel very welcome by the marae staff and helpers such as Māori wardens who help with parking and accessibility. "We have an interesting speaker, updates on current issues, a delicious free afternoon tea and great raffles. People come because they love the relaxed friendly atmosphere, the fellowship/camaraderie, the interesting speakers (we held two all candidates meetings this year for central government elections) and yummy afternoon teas. "We have the 20-strong Friendship Singers, a community choir who specialise in singing at Rest Homes, to entertain us. There's also raffles and lucky seats. "Since last year, the whare kai (where we are going to be eating) has been enhanced with some beautiful murals, just unveiled a month ago at the marae's 10th birthday party.
" We don't do a powhiri or formal Maori welcome, we are hiring the dining room and there to enjoy getting together in such a warm and welcoming setting."